I’m back! And hoping to stay. I’ve been busy (yeah yeah, you’ve all heard this before), but I’ve been gifted a wonderful new toy (a Fujifilm X-Pro1, which has brought a new energy and motivation to both my photography and blogging. Autumn is here – and those who know me know how much I look forward to this time of year, as it is (to me, at least) the most magical season of the year. As usual, I have fallen prey to what people on the Chowhound boards have coined “pumpkinundation”, a trend in which the market is flooded with pumpkin related products and suckers like me fall for it and buy said products up in droves. Companies know exactly what they’re doing – Trader Joe’s apparently has sixty-something pumpkin products this year and Starbucks debuted the Pumpkin Spice Latte (sorry, now they’re calling it the “PSL” to those who are savvy) as early as August of this year – but during the record breaking heatwave in Southern California this year, even I couldn’t think about buying an autumnal flavored (burnt) espresso drink at the time. 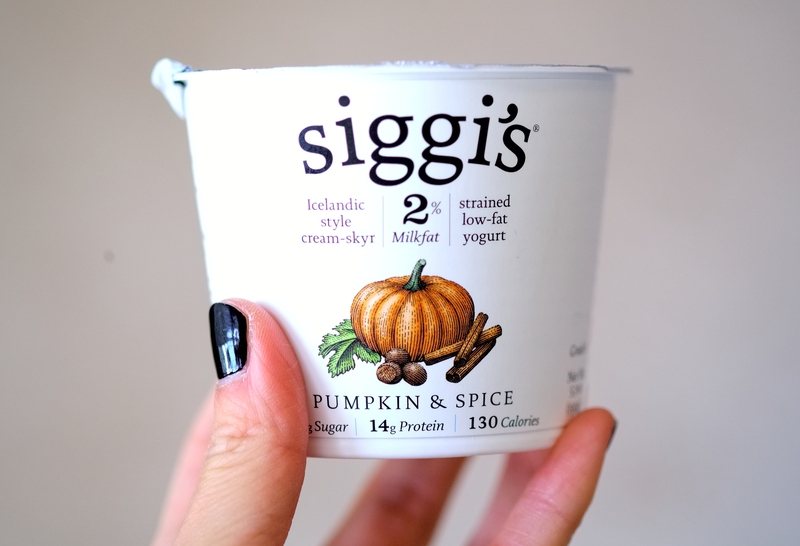 Siggi’s Limited Edition Pumpkin Spice Yogurt. This was only ok – too heavy on the lemon, which gave it too much tartness which took away from the pumpkin flavor and had almost a “chalky” texture. The Chobani Pumpkin Spice was a lot better in terms of pumpkin flavor. 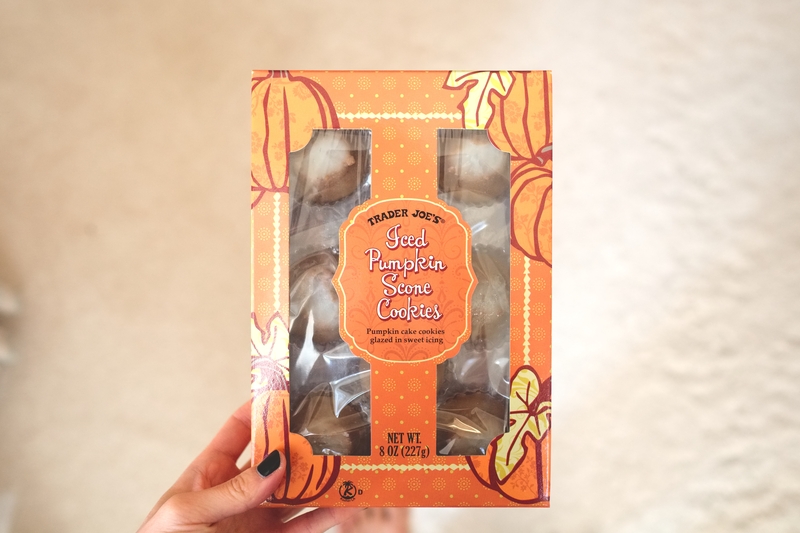 Trader Joe’s Iced Pumpkin Scone Cookies. They look diminutive, but I love these. Weirdly enough, the texture reminds me neither of a scone (scones are drier than these) nor a cookie (ditto), but rather of a good cake donut. Dense, moist, full of pumpkin and spice flavor, with a lovely icing that crackles when you bite into it. They can be a bit sweet, so just one or two of these small cookies is just enough to satisfy my dessert cravings. 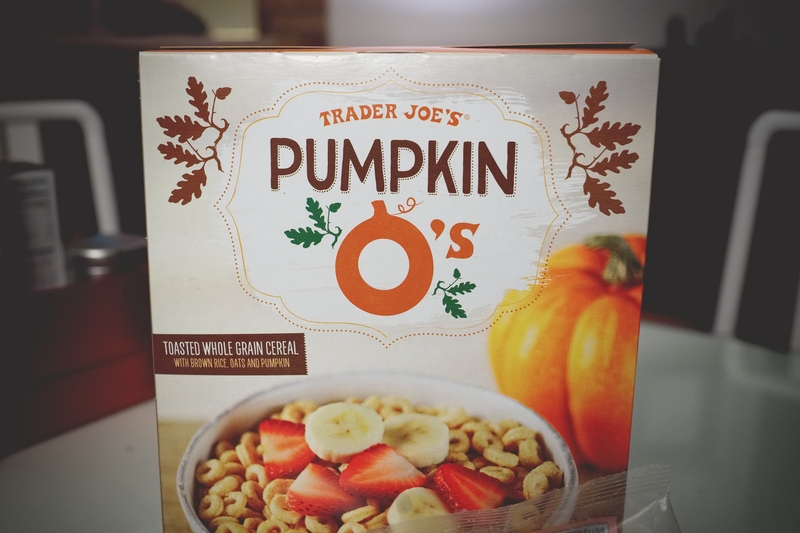 Trader Joe’s Pumpkin O’s. Like Cheerio’s, but heartier and pumpkin-spice flavored. I’ve only had snacked on it dry, but I definitely like. Hmmmm…. Nice! Glad to know you like pumpkins & xPro. :).